Hello again! I decided to write a review of a play that I saw a couple of weeks ago in London! I thought it would be fun to share my thoughts in case any of you might be interested in seeing it too. Let me know what you think about it! I went with my friend Hannah that I met at the Harry Potter Studio tour. 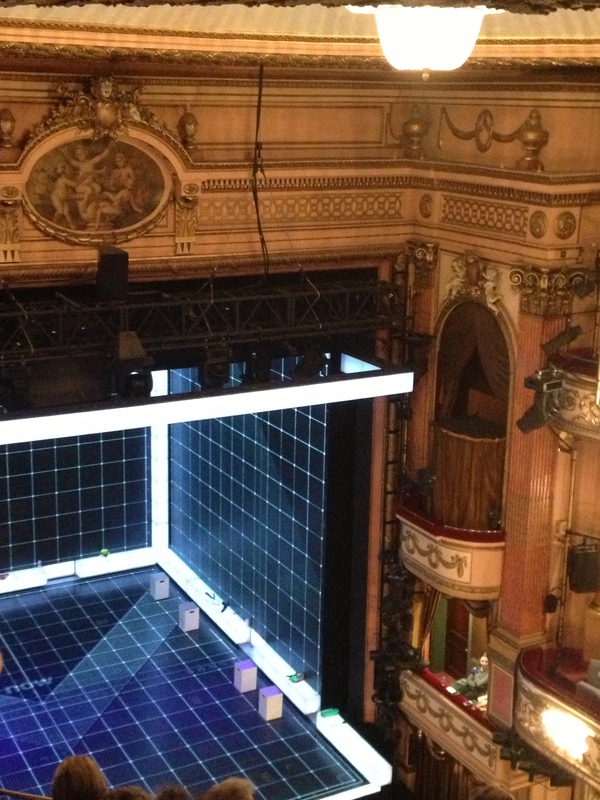 On Wednesday February 11th, Hannah and I set off after class to go to see “The Curious Incident of the Dog at Night-time” at the Gielgud Theatre. Hannah had asked me on Sunday if I wanted to see it with her and without knowing what it was about I said “Yes!” I’m trying really hard to get in the habit of saying yes every time someone asks me to do something with them! I briefly looked it up on Wikipedia on Sunday before we bought the tickets but didn’t really put too much thought into it. I was excited to see a show in London and Hannah had read the book and said that it was good so I believed her. The Theatre itself was stunning and full of history. We arrived about an hour and a half early to pick up our tickets and then just wandered around the area near the theatre. 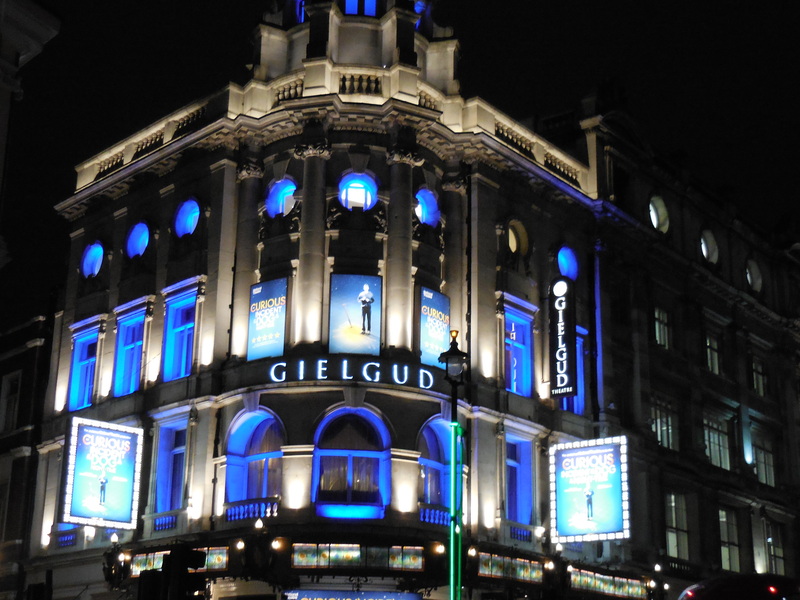 Gielgud Theatre is right by Piccadilly Circus so we had a lot to see before the show. 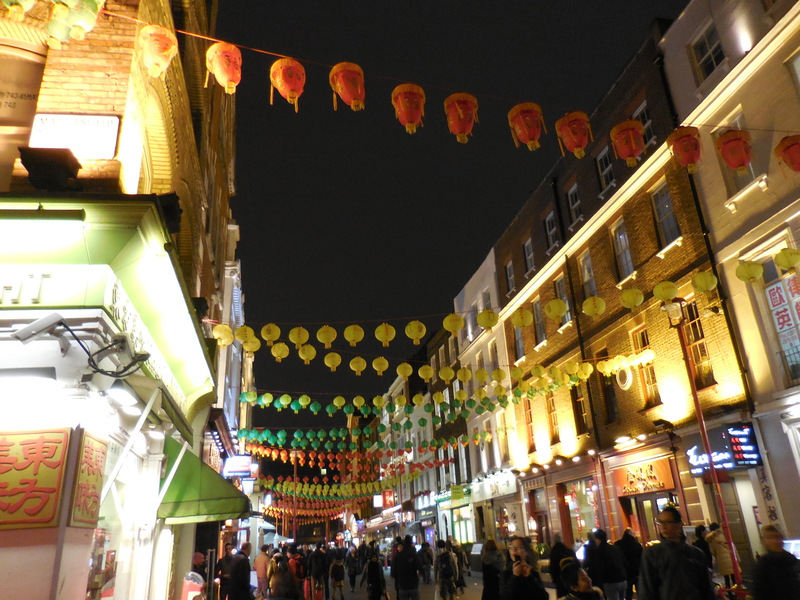 We grabbed a bubble tea and walked through China Town admiring the lights and buildings. The show started promptly at 7:30 and I was surprised with the setup of the stage. The stage had hundreds of lights that blinked different colors throughout the show. It was really modern and unique compared to other plays I have seen. 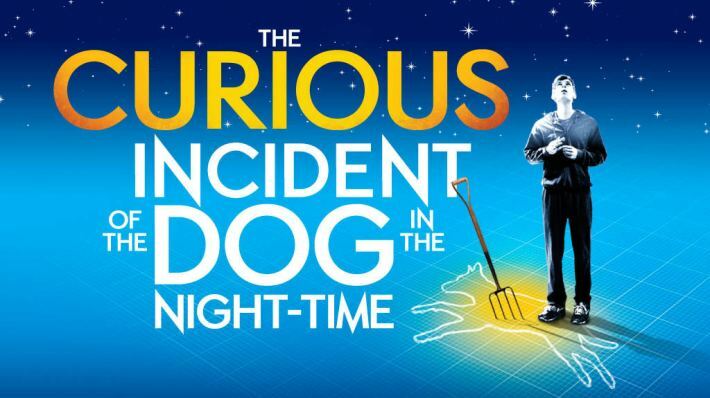 “The Curious Incident of the Dog in the Night-time” is based on the book by Mark Haddon. After seeing the day I really want to read the book, it was that good! 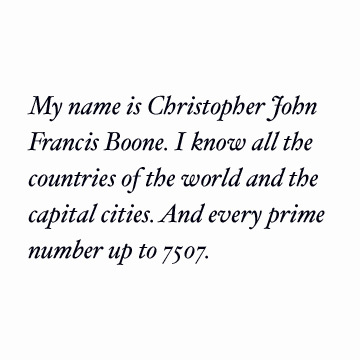 The main character’s name is a 15 year old boy named Christopher John Francis Boone who has a knack for numbers and memorizing details. You can tell from the beginning of the book that Christopher is a brilliant boy. In the beginning of the play Christopher finds his neighbor’s dog murdered in her garden. He is determined to find the culprit. I don’t want to give too much about the story away but you will learn about Christopher’s life and past and really get attached to his character. His condition is not stated in the play but after some research I learned that he most likely had Asperger syndrome. The whole play was so well-written and portrayed. I had goose bumps throughout and the ending really made my heart happy. I felt like I experienced all of the emotions and moments with Christopher, which is how a play should leave you feeling, in my opinion. Overall, I would recommend this play to anyone in London and suggest that you also read the book by Mark Haddon like I’m going to do. It was a really well acted show and I am so glad that Hannah and I were able to experience it together! 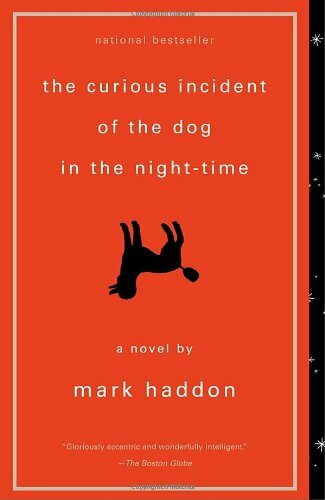 Thanks for reading and let me know your thoughts on “The Curious Incident of the Dog in the Night-Time.” Have you read the book or seen the play? I would love to hear your thoughts!